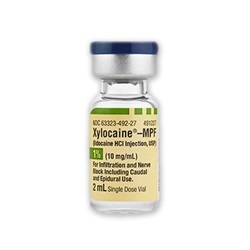 Injectable local anesthetic Xylocaine - MPF 1% (10mg/mL), in a 2mL single dose vial. Generic drug name is Lidocaine HCl. 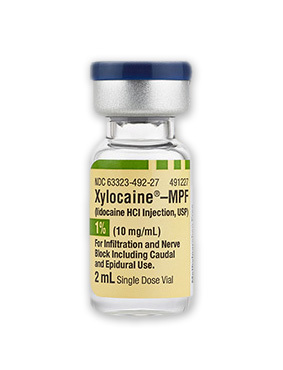 Preservative free infiltration and nerve block. NDC: 63323-0492-27. Manufactured by Fresenius. Comes 25 per box.